We started attending local Indian festival mela/events and tradeshows to display our Treasure Box. Stalls are fun. 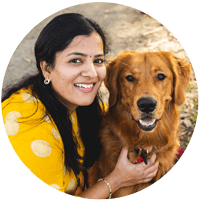 You get to meet people that mean you get direct feedback about the product and it also helps us to spread the word and explain more. That said, stalls are tiring and exhausting too. The whole day (our longest stall went for 9 hours) you have to stand and keep talking. You miss your weekend; you miss your family time, food and what not? Oh yeah food, not all events have food stalls and we just survive with Peanut Butter Sandwiches. But no pain no gain. ? I can hear you, where does avocado lassi comes into picture here? 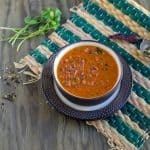 Our last two events that we attended had food stalls but it was one of the major and popular events of the year (SFO Spring India Day and Cupertino Dillihaat Festival) Even though there was food stalls, we couldn’t move because of the amazing crowd who kept us busy and occupied. I would like to thank everyone who encouraged and for all your positive feedback. We wanted some food that will keep us going and that’s when we found Dosa (the SFO fame restaurant) was selling these avocado lassi. We grabbed two bottles and when we sipped, OMG it was delicious, filling, satisfying… (Add all the adjectives) As I mentioned we survived these two events only with this lassi. Me being me wanted to replicate the same and was trying to figure out the ingredients and after two attempts viola I got it! Hurrrrrayyyyy!!!! Soak the saffron strands in 3 tbsps of lukewarm water for about 15 to 20 minutes. Remove the saffron strands and set aside for decoration. Peel the skin of avocado and take out the pulp alone. 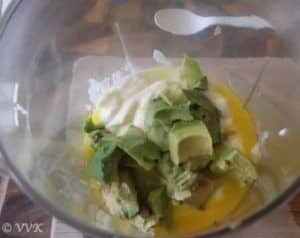 Add the avocado, yogurt, sugar, cardamom powder and saffron water and blend it a blender. Check for sugar and adjust as per your taste preference. That’s it. Avocado lassi is ready. Decorate it with the soaked saffron strands and serve chilled. 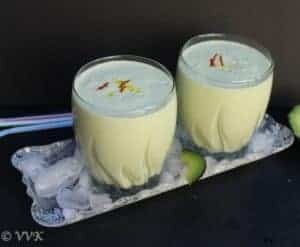 Mango Lassi can be prepared in a similar way. 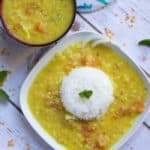 Replace avocado with ripe sweet mango and boom yummylicious mango lassi is ready. I have tried storing in refrigerator for upto 4 hours. Adjust sugar, cardamom powder and saffron according to your taste preference. 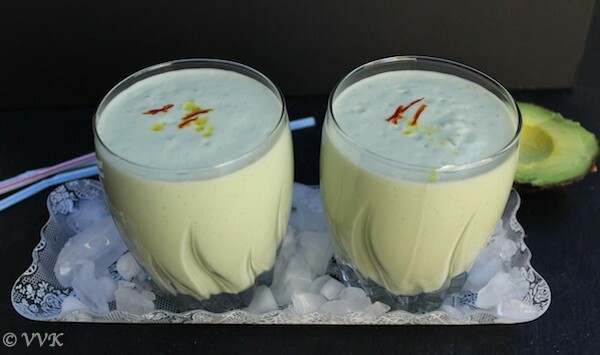 Avocado lassi is a smooth, rich and creamy yogurt drink prepared with avocado, yogurt and sugar with a hint of saffron and cardamom. 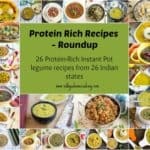 It’s perfect summer recipe to quench your thirst and at the same time it is filling recipe too. That's it. 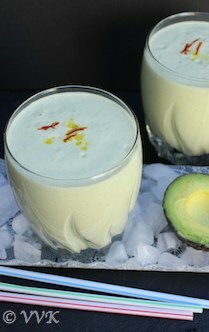 Avocado lassi is ready. 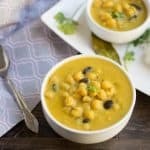 Mango Lassi can be prepared in a similar way. Just replace avocado with mango and that’s it. 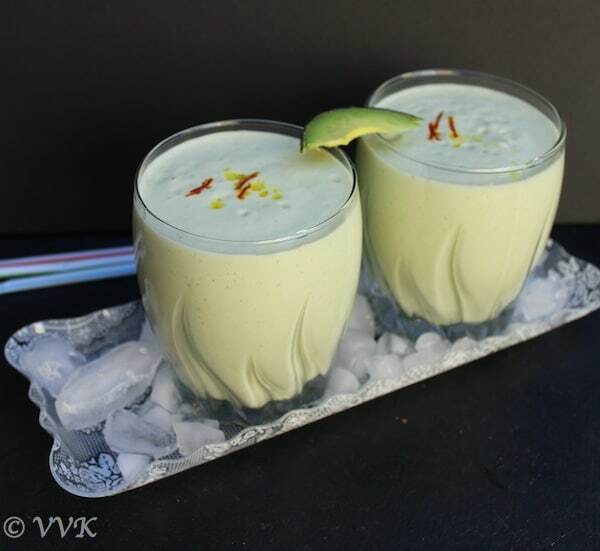 Loving your lassi series vidhya….avacado lassi looks super creamy…got to try it!! :-) Thanks Padma. Please do try it out. 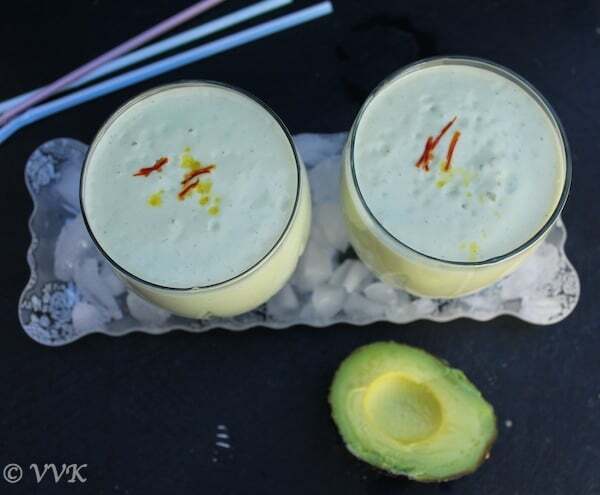 Avocado lassi looks so creamy.Thanks for sharing. ;-) Thanks. Actually inspired from the restaurant recipe. Nice! 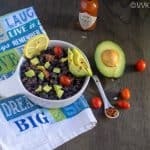 !Different from the usual avocado recipes…. Perfect summer recipe. Healthy and refreshing! Thanks :-) I totally agree about Avocado. Its an acquired taste. But this buttery fruit is loaded with good fat na..
Aaaaah, I need one now ? Awwww I wish I could you a glass now. Virtually sending you one now.. Thanks a lot :-) Need to hop on to your blog, been long time. Sorry. Thank a lot Santosh and welcome here.